Peyton quickly got down to basics and shared his insight on the four suits that are the foundation to a man's closet; Solid blue, solid gray, subtle blue pinstripe and subtle gray pinstripe. 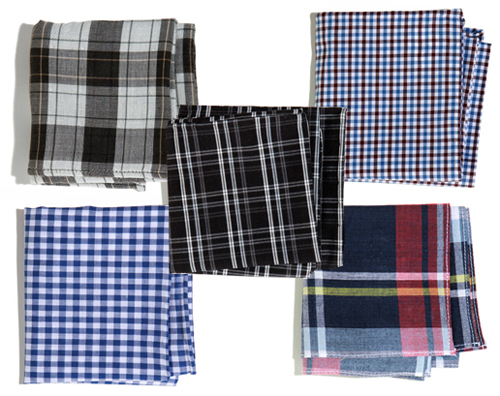 These are core suits that can be very versatile, dressed up or down and offer a great mix of tradition and style. If you're bored with the basic suit, Petyton has a secret tip- try sharkskin. The fabric looks richer as there is more texture and depth. Peyton, "What I love about a blue or gray sharkskin is it can work as a suit or made more casual with the trousers worn separate. Or the blazer works great with jeans as well. All of a sudden with one suit, you have multiple uses." The chalk stripe suit looks like a pinstripe but is more subtle. It's a bolder look that works well in the South. As Peyton shares, "It looks very purposeful- that the man knows what he's doing." When I asked Peyton about trends for autumn, he had quite a few to offer. The first is color. Even as the summer ends, the brighter colors are sticking around here in the South, as we're seeing more purples, lavenders and softer pinks in the fall. Matched with something more subdued, this look can keep its cool. Tweed blazers are another new trend. Now, there may be memories of grandpa's old tweed jackets but today's look is more tailored. Peyton, "There are very few things as nice as a fitted tweed blazer, matched with either a dark pair of slacks or jeans." I hadn't paid much attention to this next trend until Peyton mentioned it. Now I look for it. 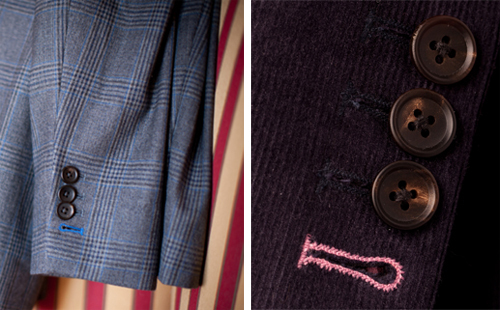 On all of Alton Lane's suits (and other brands offer this as well), you can opt for a different color stitching on the final button or the lapel's flower hole. 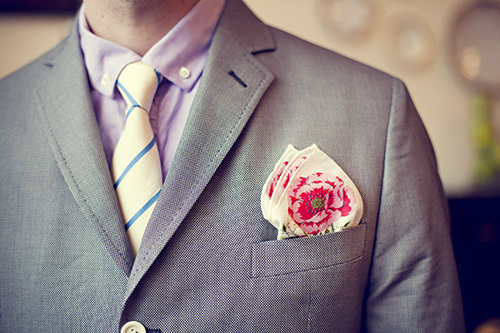 It just adds a pop of color with a chance to express oneself, livening up your standard suit. Another trend we're starting to see are dress shoes with colored shoelaces. This offers a more playful and adventurous look and shows others you've got an eye on style.